I didn’t want to leave everyone hanging – but I feel like hell right now, so this update will be brief. Here’s the picture. 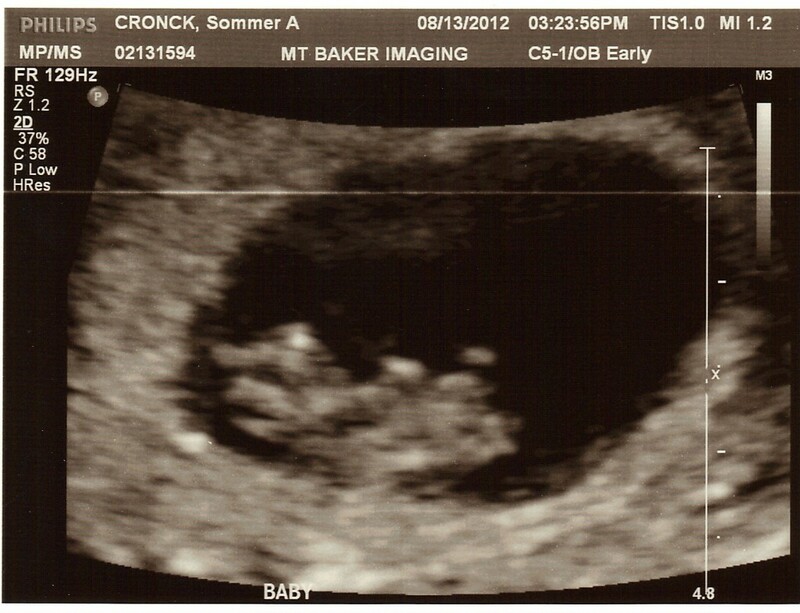 The baby’s head is on the left and you can see the little arm and leg nubs. :) I have an appointment tomorrow to hopefully do something about this gut-wrenching nausea. Yay! So glad everything is ok Sommer. I hope you can get some relief from the sickness. Beautiful baby! I hope you can get some relief from the nausea. So glad to see that pic! Spotting is so worrying, isn’t it? I spotted well in to my twentieth week with the boys…makes it very hard to relax! Really hope you get some help tomorrow with the nausea. Wow, congrats!!! I just found your blog today, and let me just say that I have shed some tears reading your posts all the way back to when your boys were born! You are one strong cookie.